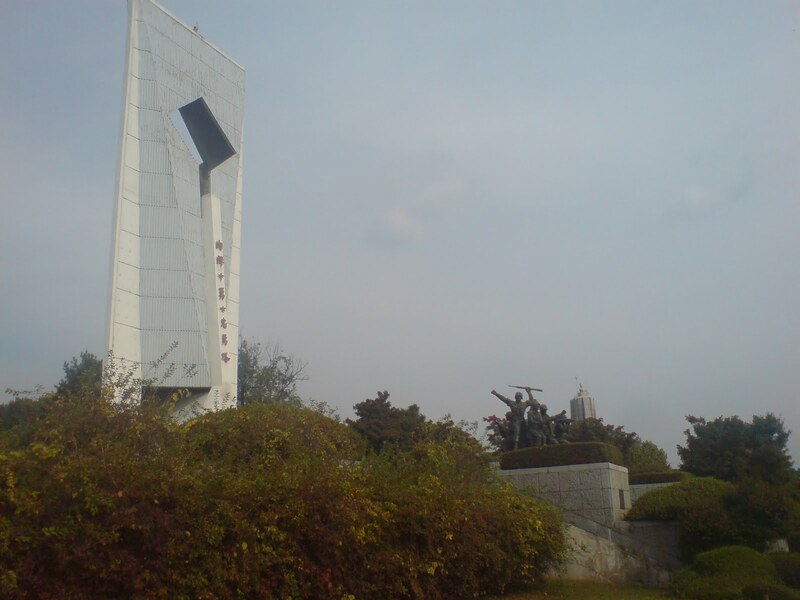 I pass through the War Memorial park in Munsan on foot every day on my way home from school. The Towering centrepiece is a marker for anyone who enters or leaves from Munsan, the colossal white stone bursts out from the gentle landscape or trees and pepper plants. 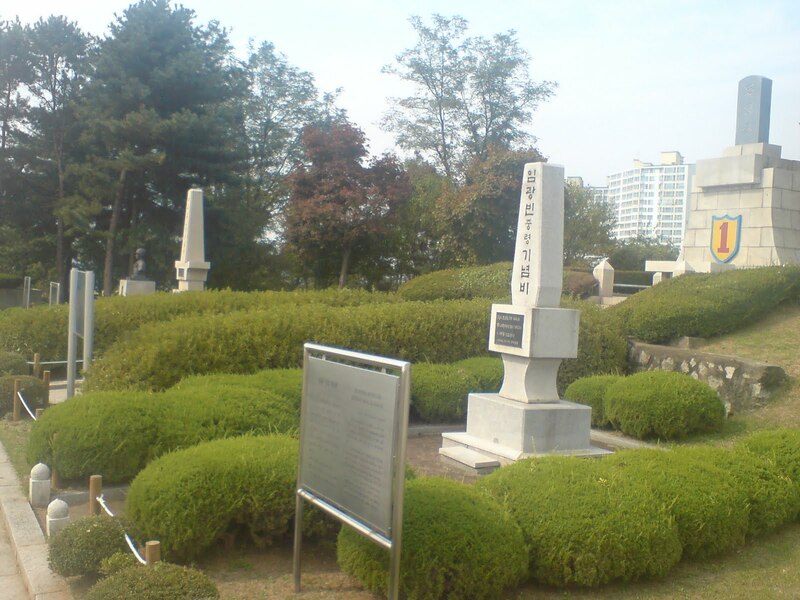 Despite this daily scenery I have, up until now, failed to actually explore the park which is dedicated to those lost in the Korean War. 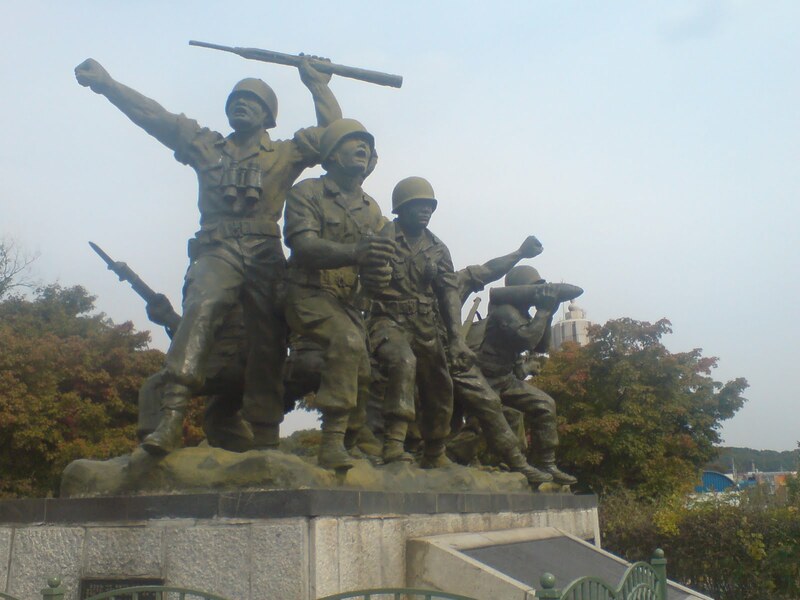 There is not just the single white statue, but several stone blocks all commemorating different key individuals and the sacrifices they made for their country. 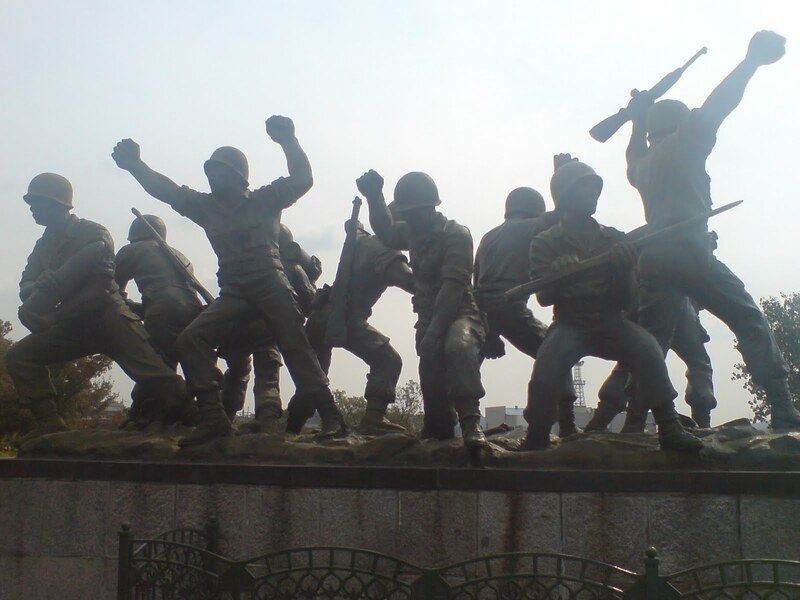 There is also a rather haunting yet beautiful statue of ‘Soldiers’ in action – not stone but some kind of metal (i’m not an expert maybe iron?). The memorial area is landscaped in a beautiful manner, perfectly coiffeured bushes, neat lawns and over pruned trees. The week before Chuseok the places was also thoroughly cleaned, every inch scrubbed and brushed. 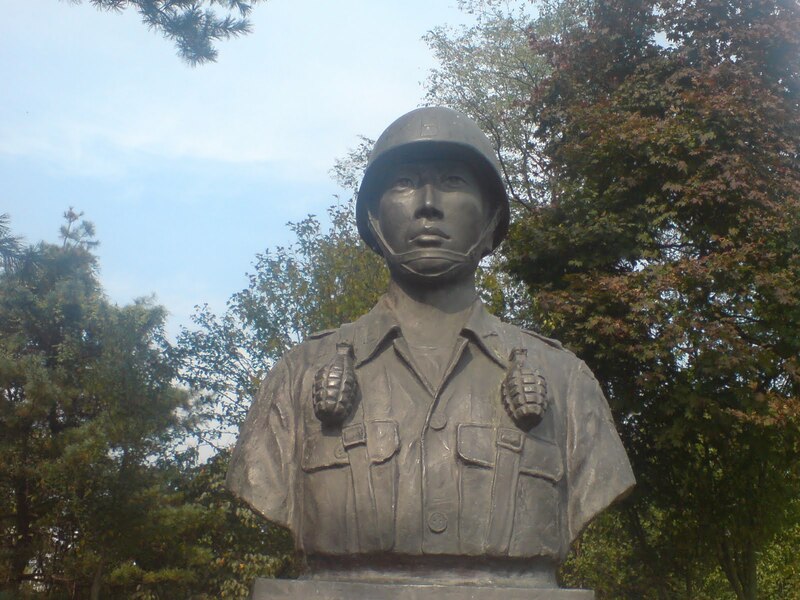 The Korean’s are still very humbled and haunted by the war that was so ravaged their world and that is still essentially still going on. They would never allow the commemorative plaques and statues that scatter the land to become dirtied by nature, or soiled by people. They give them great respect, for they commemorate those that essentially saved them and allowed their nation to become what it is today.